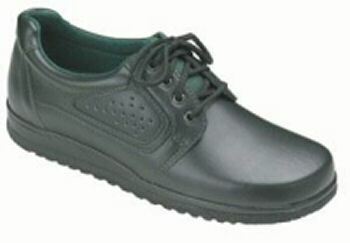 The range of Optima slip resistant shoes consists of clogs which are lightweight, flexible and comfortable. The shoes are robust and have an extreme grip with good shock absorption. The insole is a soft and comfortable half sole with an excellent arch support. Optima is available with and without safety. Our Optinma clog is perfect for anyone on their feet all day looking for a stylish shoe to accompany their wardrobe. Whether you work in the food industry or the cleaning industry these slip resistant shoes are perfect for you.